Very Good. Trade paperback (US). Glued binding. 177 p. Contains: Illustrations. 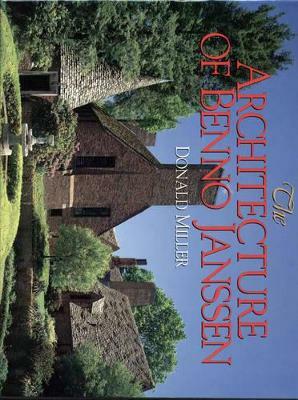 Here for the first time is an in-depth presentation of the ideas and design of Benno Janssen, whose elegant architecture greatly enriched the landscape of Pittsburgh and Western Pennsylvania. Lavishly illustrated with color photographs by Edward Massery, this book is a handsome and insightful tribute to one of Pittsburgh most highly regarded architects. Illustrated by Edward Massery. Near Fine. About the author flap laid in at the rear. ; Oblong Small 4to 9"-11" tall; 177 pages; Extra postage required for priority and international shipping. Color, B&W Photographs. G/No Dustjacket. Pittsburgh, PA: Carnegie Mellon University. G/No Dustjacket. (1997). First Edition. Paperback. Inscribed by the author. Oblong 8vo., xii, 177 pp., Cover scuffed and gently frayed at tips, some wrinkling of a few pages. Poor. No dust jacket. Legendary independent bookstore online since 1994. Reliable customer service and no-hassle return policy. Ex-Library. Used-Very Good. Here for the first time is an in-depth presentation of the ideas and design of Benno Janssen, whose elegant architecture greatly enriched the landscape of Pittsburgh and Western Pennsylvania. Lavishly illustrated with color photographs by Edward Massery, this book is a handsome and insightful tribute to one of Pittsburgh most highly regarded architects. Very nice clean, tight copy free of any marks.